Continuous rim for ultra smooth cuts. Cuts ceramic tile, granite, marble, slate and porcelain. 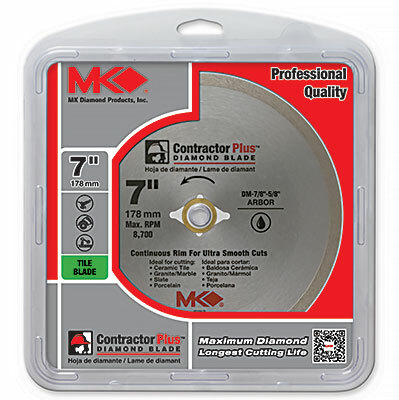 These diamond blades contains 30% more diamond than standard blades, providing long life.